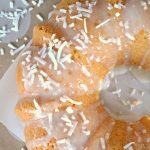 This Coconut Bundt Cake is a delicious moist cake with a light coconut flavour. The coconut sugar glaze elevates this cake to the next level. It is a widely known fact that I have a love affair with all things coconut. Coconut cream tarts, coconut in soups, cookies, granola, coconut sugar scrubs, coconut cake, Pina Coladas, coconut coconut coconut. If you do a search for coconut on my site here, the list is like 5 pages long. Can’t get enough. Seriously. So guess what I went and made? 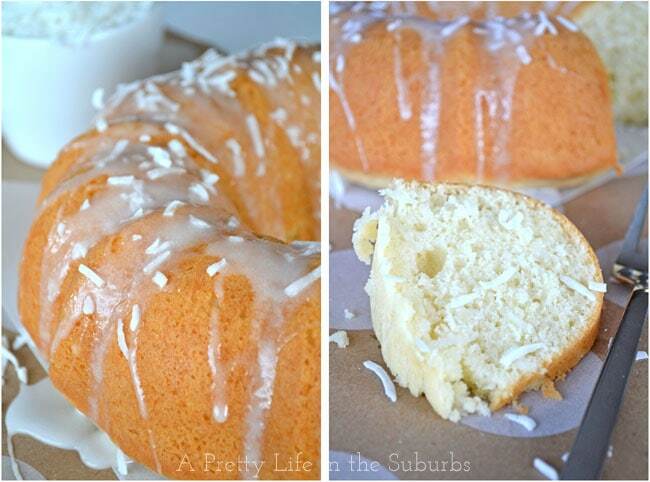 A Coconut Pound Cake with Coconut Sugar Glaze. Whoa nelly, this is a great cake. 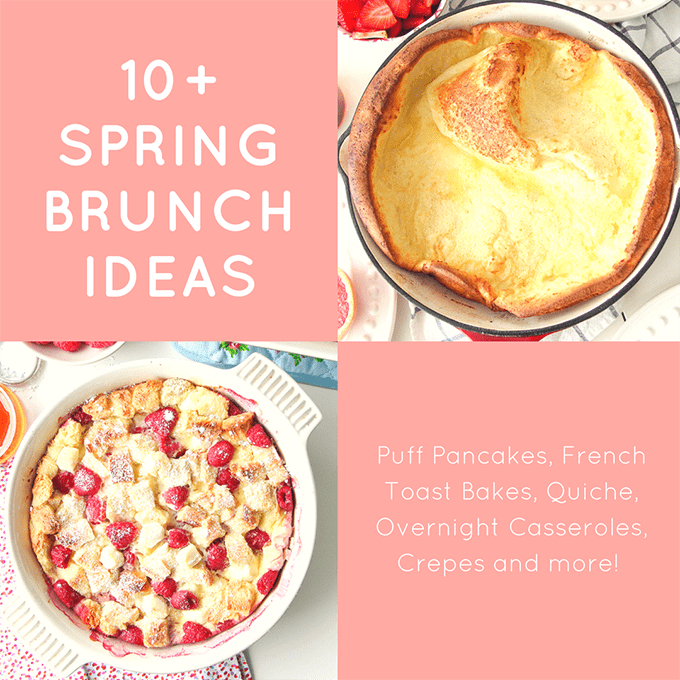 And it’s one of the easiest to make…no muss no fuss. This cake is wonderful for dessert, or served with coffee & tea with your friends. Or just make it any day you need a cake fix. Kind of like how it was for me yesterday…crabby comments, parenting challenges, information overload, thinking too much, skin breakouts, a messy house….some days just call for cake don’t they? Just a simply delicious moist cake with a light coconut flavour. I can’t even tell you how good it smells as it’s coming out of the oven. 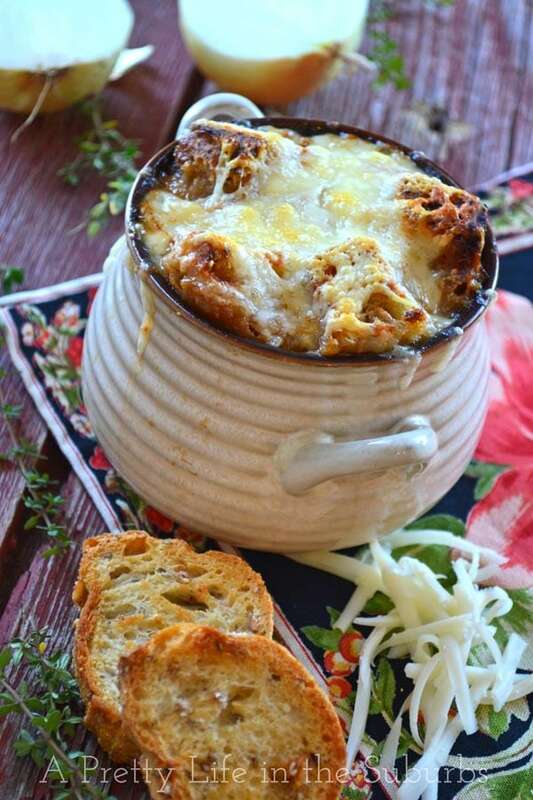 You’ll just want to shmoosh your face into the pan. No, you will. Then add some coconut sugar glaze and this cake is elevated to the next level. Prepare a Bundt pan by buttering the pan and lightly dusting with flour. Set aside. 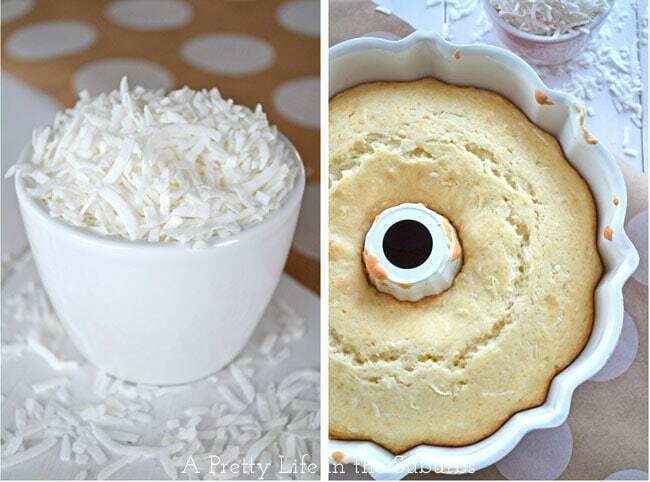 In a separate bowl, combine the flour, baking powder and coconut flakes. To the butter mix, add 1/3 of the flour mix, then 1/2 of the coconut milk. Repeat until all combined. While the cake is baking, mix together the glaze ingredients until smooth. Set aside. Once the cake has baked, let it cool for about 10 minutes in the pan, then turn the cake out onto a plate, and drizzle on the coconut glaze, and sprinkle with sweetened shredded coconut. If you like, you can even toast the coconut then sprinkle it on. Thank you for stopping in for cake today! I’m always so happy to have you here! I LOVE pound cakes, I should totally make this for my family. Me too! 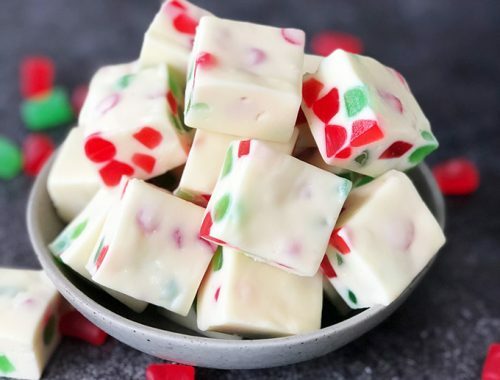 They’re so easy to make and they’re so delicious! Enjoy! Oh My …. this looks delicious Jo Anna. I love coconut too. I’m going to try it soon. So sorry about crabby comments…. on such a lovely blog. I guess I’m assuming it was on your blog. Wonder WHY people are so unkind. If you don’t like what someone is doing….. say so in love or JUST MOVE ON people and take your crabbys with you. I know it is hard to do but you can do it. And just a little Coconut note of thanks to your mom for suggesting Coconut oil for rough dry heals on her blog….. My heals look AMAZING!!! And so do my daughters!!!! She just had a baby recently and was complaining about her heals being cracked and sore so I put together a little care package and I took my little tub and we had a foot pampering day last week. Soaked her feet in warm water with a small amount of baby soap about I/2 tsp. and 1/2 tsp. Vaseline. It just softened everything up then we used the pumice stone and the oils. I am using a Pumice stone daily after my shower and also using some Shea butter after I use the Burts Bees Coconut oil. Thank you Thank you! 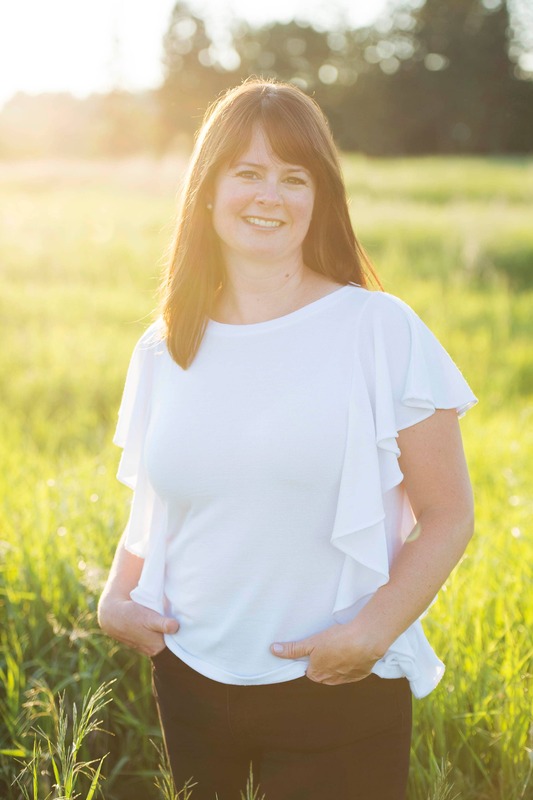 I have struggled with this for YEARS and want to shout it from the roof tops….My heals are healed!!! I’m also eating sunflower seeds for extra Vit. E as well. That may also be helping the problem. Thank you so much Janita! Your words mean a lot! Every once in a while a get a nasty comment, but mostly they are on my blog’s facebook page – there is something about facebook that makes people think they can be nasty. I usually just ignore them but some days it’s tough! I’m so happy to hear that you have had success with using coconut oil for dry skin! It really is amazing stuff isn’t it?! I really should take my mom’s advice and use it on my heels too hahaha! I love pound cakes too! That looks good! Thanks Bette! Have a great weekend! I totally agree, you cannot go wrong with coconut in any form sweet or savoury! 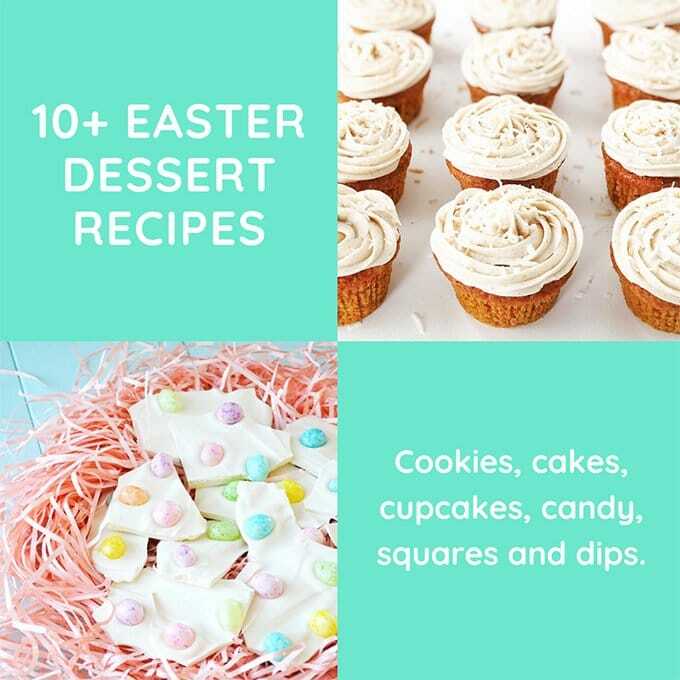 Okay, this could be dangerous.I too love coconut, and am thankful Crave Cupcakes are not just around the corner,as my go to for my coconut fix is their vanilla cocnut cupcakes,but now I will have a cake recipe to bake my own. Mind you a whole cake versus a cupcake. Hmmmmm! Ooooh I love Crave cupcakes…good thing they’re not close by me! But this cake…it’s a great alternative…yum! I also love all things coconut but most of all I can’t wait to smoosh my face into the pan lol! Thank you Cate! I love that your husband bakes!! My mother used to make a similar cake. 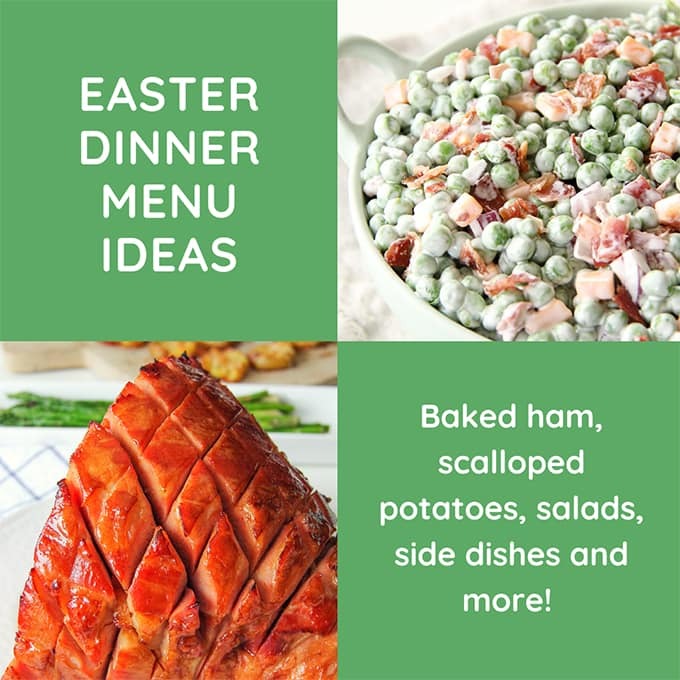 I’ve been looking for a recipe for years – pinned!! Thank you for pinning Heather! I hope you enjoy it! 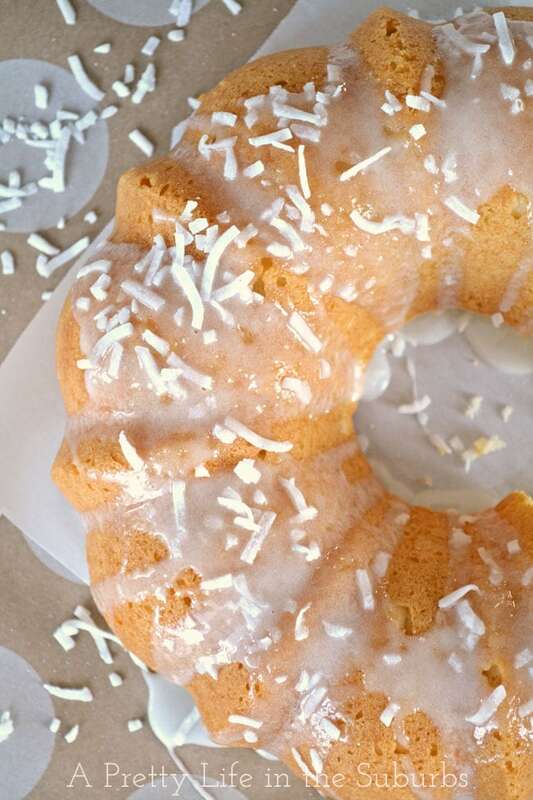 I’m going to a potluck this week and I think I’ve decided I’m going to try to make this coconut pound cake for the party. Thanks! Great idea! I hope you love it! 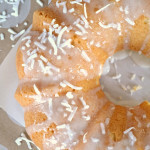 I’ve never made a pound cake but I love coconut and this looks like a great place to start!!! It’s such an easy cake to make…pound cakes are delicious! Happy baking Sarah! Again can you be my neighbour? I’d never cook again a day in my life. Or else you’d have to teach me. I too love everything coconut! This just looks delish! 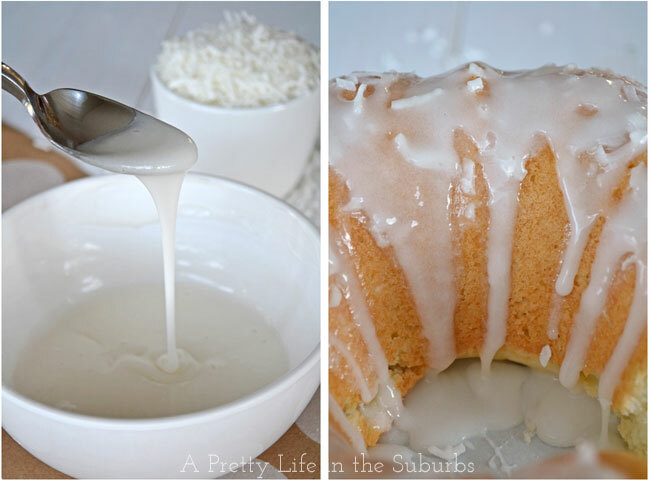 I’m afraid if I try, I will eat the coconut glaze before it’s even on the cake! thanks for sharing! Just made the cake – it was amazing:) great recipe! Yay! I love to hear that!! 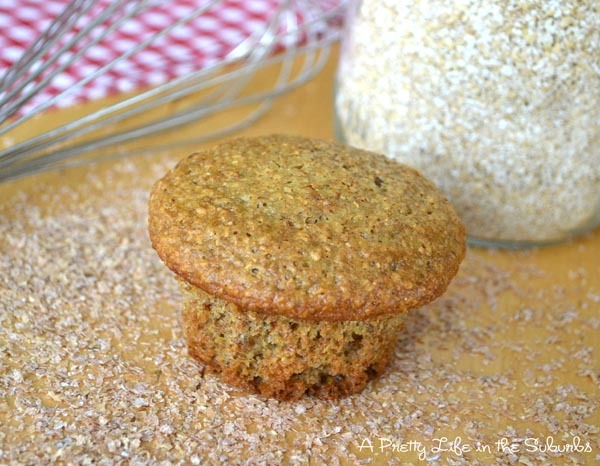 Can coconut flour and coconut sugar be substituted? Or would that be TOOO much coconut? After trying this recipe, I’m going to experiment. Also, am I correct in assuming that this would qualify for lactose-free? Hi Gary! Unfortunately coconut flour would not work at all in this recipe…it’s such a different flour than all purpose flour and doesn’t substitute well. And I’m not sure coconut sugar would work as well either…it’s consistency is more like brown sugar which doesn’t work well with this recipe.